These two underrated cuties actually played siblings in the drama “Brothers”. Not only that, but Jake Gyllenhaal, 37, almost replaced Tobey Maguire, 43, in the Spiderman series. It happened when the Spiderman director met with Jake Gyllenhaal when it appeared that Maguire wasn’t going to return for the sequel if he didn’t receive a higher salary. After begging his way back into the franchise, Maguire was paid $17 million to return for the sequel, so his stalling tactics worked and he actually got a $13 million raise. 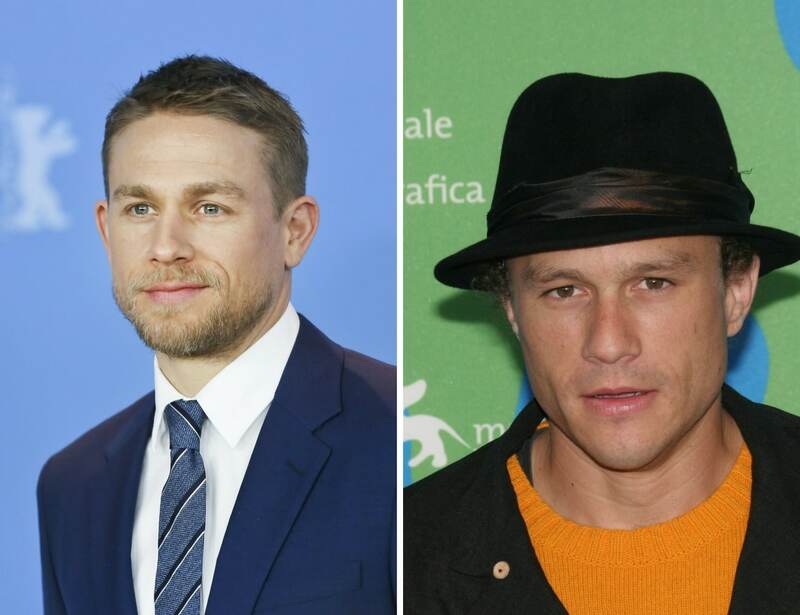 British hunk Charlie Hunnam admits that people used to mix him up with Heath Ledger as they both share a rugged and cool masculinity. Hunnam gets his excellent physique from boxing, swimming, and weightlifting. He is most famous for his role in the TV series The Sons of Anarchy. Tragically Ledger left us much too soon at only 28. He is remembered for his role as the Joker in The Dark Knight for which he won an Oscar posthumously.